During 2014 Newcastle Choral Society celebrated its Diamond Jubilee year as part of the City choral tradition. Musical Director Mark Anyan is into his twelfth season with the choir and continues to bring new musical strands to the choir in his professional association with young singers. 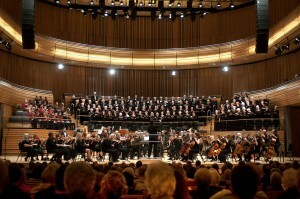 The choir averages 85 singers and aims to produce choral concerts of a high standard, in a wide range of styles, at venues in and around Newcastle. Since its formation in 1954, as well as the standard classical repertoire, the choir has performed modern works by Rutter, Carter,Ramirez, Jongen, Nyman, Campling, Chilcott, Todd, L’Estrange and Jenkins (including local premieres of ‘The Armed Man A Mass for Peace’, ‘Stabat Mater’ and ‘The Peacemakers’). The choir has also performed a number of compositions by former Musical Director Len Young including, Seafarers, Blackfriars, Earthsong and Requiem. 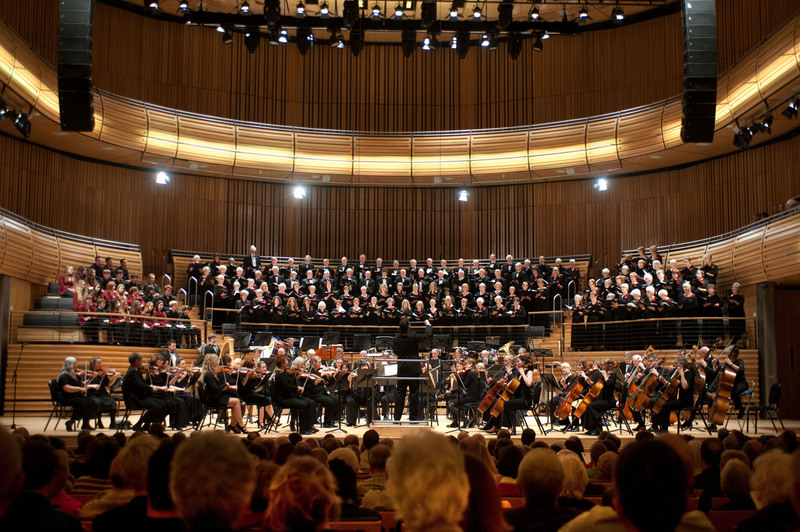 In 2005 and 2007 the choir performed in Hall One at Sage Gateshead and in 2014, to celebrate its Diamond Jubilee year, returned to Hall One on Saturday 29th November for a performance of Karl Jenkins ‘The Armed Man’ and a commissioned piece from Will Todd ‘The Dream of the River’. The concert was presented in association with members of Mid Northumberland Chorus, Tees Valley Youth Choir and local members of the National Youth Choirs of Great Britain. There have also been a number of concerts with lighter pieces, and a regular series of Carol Concerts each December. From 2016, in pursuit of excellence, membership will be by audition only. Members will be expected to have previous singing experience and a reasonable level of musicianship ie basic awareness of reading music and/or a good ear for learning and retaining music.